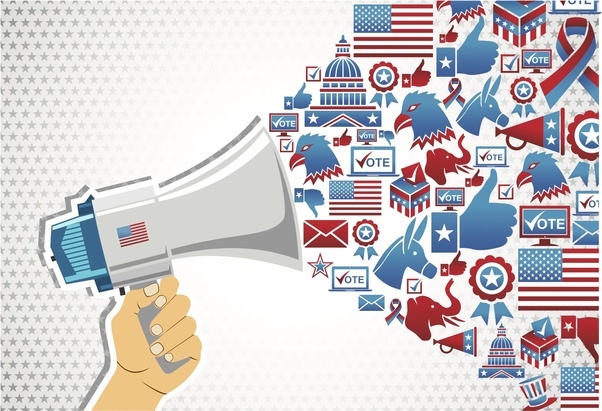 As the race between Democrats and Republicans for control of the House gears up, many direct response advertisers find themselves wondering why they are suddenly struggling to achieve goals – failing to realize the impact politics has on their response. The primaries last week already proved to have several shake-ups which stands to increase what will already be a very large budget for this year’s general election. Here are a few things to think about as the general election window opens and we head into the primary election. Estimates show that political spending will equal or exceed the record setting spend of 2014. Political window/LUR – First and foremost, politicians have protected rates. They are granted “LUR” (lowest unit station rate) for any and all ads placed – regardless of “class”. In any daypart, a political candidate that meets the criteria for a political advertisement must be granted the lowest rate placed in that daypart by any advertiser. As a result, stations ensure that rates are protected within the political window. What is the political window, you may ask? The political window opens 45 days before a primary election and 60 days before a general election. November 6, 2018 is the nationwide general election which means that the window opens on September 7,2018. What does this mean for me as an advertiser? Many advertisers might be paying a great rate and hitting CPL’s on stations for months only to have their rate doubled or more once the window opens. Never fear – there are a number of ways to continue your lead flow. Just be aware and prepared for changes that go along with the demand placed on TV and Radio stations by elections. Direct response clients tend to place week to week based on response but in this time period, if you are in a swing state or hot zone of any kind, we recommend laying in your key lead sources, those you can count on, to ensure that you don’t get lose your rate and, perhaps worse, risk sell out. National Elections vs. Local – Many people falsely believe that pressure on inventory and rate concerns only happen during presidential election years. Quite the contrary – local races are just as heated and the potential for spending is greater than that of the national races. PAC funds – The impact of Political Action Committee advertising also known as issue money is also a considerable factor. In fact, this may have more impact than the candidate funds as issue groups typically pay the highest unit rate on the station. The reason for this is that they are controversial in nature and they are well funded. There are PAC’s that are specific to each party, such as the DNC (Democratic National Committee), the DCCC (Democratic Congressional Campaign Committee), and similarly the RNC and RCCC. There are also local PAC’s dedicated to groups (Education Association PAC’s, Union PAC’s) and those dedicated to specific issues (Say No to the proposed beverage tax), and those dedicated to a candidate (Vote Robert Jones for Congress, paid for by Friends of Robert Jones). Any advertiser that is not the actual candidate pays top dollar, which means if you are not paying attention, you’re probably throwing your money away. Inventory Demand – With all of this added pressure on inventory, station sales departments battle with programming, but adding too much commercial inventory makes ratings plummet so stations sell out. This means higher rates or the risk of being bumped if you’re rates are at the lowest tier. Again, booking early and paying attention are key to keeping a strong lead flow! Ad Blindness – Ad blindness is the effect of hearing an ad so many times that your mind no longer hears it. It’s a strong reason to change your messaging and rotate different ads. However, during the political season, there’s a new cause of ad blindness – the political ads. I’m sure you’ve been there – you’re watching the news or listening to your favorite radio show and the first commercial is a political ad. You turn the channel again and again only to hear more of the same. As a result, the audience can tune out all ads. There are ways around this, but it’s something you have to be aware of and on top of to ensure your dollars get the results you want! To work around this, you need a full strategy that involves moving media type around weekly, changing radio dayparts, changing TV programming used, shifting creative, adding to your creative, and a number of other tactics that are part of a well structured and executed strategy for the climate. Geography – If you are located in a swing state or are located near a heated race, this will change the impact that political season has on your ads. It will dictate pricing, inventory concerns, whether or not your spot is bumped, and more. You have got to be aware of the candidates and issues that are active where you are advertising and work around it to ensure your message isn’t lost in the clutter. Inventory Demands – As previously discussed, a station can have inventory at 9am and receive so many candidate and issue orders, that inventory changes, suddenly spots are being bumped, and rates increase three times in one day with no warning. You have to protect your rates on the stations that are key to your success, but also be prepared to move dollars and test new options. On the plus side, a new media outlet might bring surprising results! The bottom line, there is a lot on the line for both parties. It seems as though the Democrats have a strong chance to take control of the House, but the Republicans will fight tooth and nail to retain control. What that means is more money to garner the votes. To summarize, if you can, place your schedules on key stations to lock in your inventory and rates. Stay on top of them to ensure that any spots missed are being made good asap. If you can’t book early, book quickly. A rate quoted at 9am may increase by 11am. Speed is important if you want to get on the stations that matter most to you.